The present text is an instrument to develop the higher potentialities of human mind. It destroys old vicious circles of negative emotions and makes room for a cultural regeneration. Being a practical exercise, it helps citizens to become conscious of the fact that their thoughts co-create the future, individual and collective. As a meditation, it is based on a natural law which Helena P. Blavatsky examined at length in her 1877 masterpiece “Isis Unveiled”. The following visualization places the rising powers of human consciousness at the service of Universal Brotherhood, as duly required by the law of karma and evolution. Altruism is the only correct way to develop the transcendent potentialities of mind. It is also the most effective way to achieve happiness. The meditation can be practiced individually or collectively. It is a good idea to make it happen in community associations. It would be better to meditate in a place where there is physical silence and clean air. While its regular practice produces deeper effects than doing it just once, it is beneficial even as an isolated event. 1) Adopt a calmer and deeper breathing, leaving aside all thoughts about personal matters. 2) Visualize humans in every part of the United States consciously learning lessons from the obstacles they face. See wisdom and solidarity permeating relations among all in each part of the country. Imagine the American people awakening now to the unlimited power of cooperation. 3) Keep before your mind’s eye, for an instant, the image of each city and rural community rising to the brotherly solution of its problems. See every place working as part of a nation based on the principles of self-responsibility and mutual help. 4) Envision the radio, television, paper media and Internet websites actively promoting peaceful goals, local and national. Take a calm look at the present communities across the United States, as they build solidarity mechanisms in the creative world of your inspiring mind. 5) Strengthen your personal commitment with this vision. 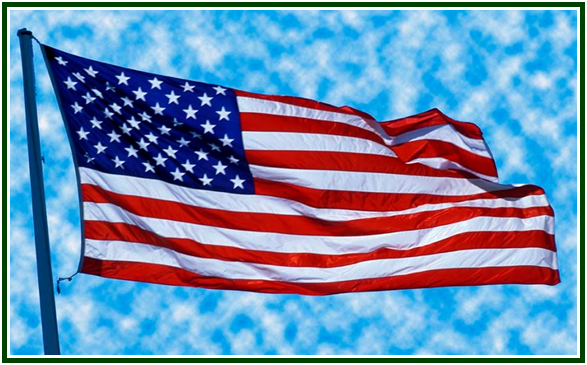 The USA is part of the Pascal’s circle, whose center is in the heart of every citizen; and you are no exception. 6) Visualize for a few moments public leaders who avoid hypocrisy and pave the way to higher levels of frankness and honesty. 7) Imagine your city and state as lands of universal peace. See them as ready from now to a new era of self-responsibility and mutual help. Keep this image with yourself. Preserve it in your mind and heart. Remember this old axiom, that “there must be more merit in attaining a goal which is difficult, as long as it is noble”. Every new phase in a country’s evolution needs its own pioneers. If you realize you are co-responsible for the collective awakening, consider taking steps for these visions of the future to remain strong and gradually expand their influence. The best way to develop your will-power is by helping accelerate the on-going, largely unconscious dawning of the next civilization of universal ethics and brotherhood. The United States has a role to play in the process, as its unfoldment becomes increasingly conscious. “Isis Unveiled”, vol. I, p. 384. From this page on, HPB continues to discuss this topic for dozens of pages. 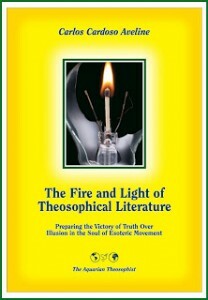 The above text is based on Chapter 27 of the book “The Fire and Light of Theosophical Literature”, by Carlos Cardoso Aveline, The Aquarian Theosophist, 2013, 255 pages. See pp. 245-246. The chapter is entitled “Meditation on the Awakening of Mankind”.